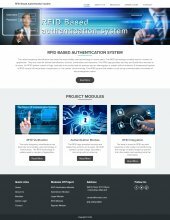 Day by day the popularity of Radio Frequency Identification Technology is rapidly increasing. 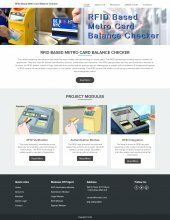 Almost in every field, RFID system can be used for handling inventories, security checks, etc. 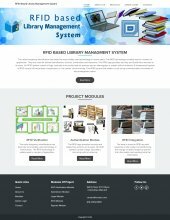 In the same way, we can use RFID System in healthcare monitoring system to manage patients and their medication. 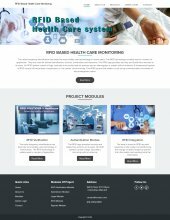 In this article, we are going to discuss about health monitoring system which consists of three sections Patient Registration System (PRS), Medication Management System (MMS) and Asset Monitoring System (AMS). Now days, with increasing population, the density of cars on the road is suddenly increased. Due to the increasing demand of cars, there is big issue that we are facing now days which is of car parking and its management especially in crowded areas, market places and all. 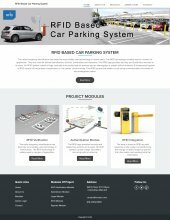 For this problem, we proposed one best unique innovative solution in this article which is RFID IOT based car parking system module. By using this project module, we can easily control and manage car parking more effectively. In this system, we are allocating RFID Tag or Label to every car. The home of thousands of books of different categories and different authors some are subject books some are novels some are encyclopedias all are found in a place known as the library. Management of all the books in the library is a bit difficult task for the librarian to maintain all the records alone like books issued, a number of books left in the existing system barcode technology were used but RFID technology overtook it because it is far more superior than barcode technology. 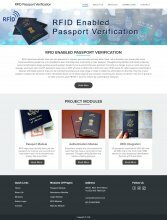 Passport is considered as an important document for every citizen as it is the key to travel across the world every person must have it. It is the important document so it demands a long procedure and time to get made because hell lot of crimes, like, smuggling is done from one country to another country at that time there was low security at the airport. The old times are gone modern era has begun with the latest and innovative technology where not even a single thing is done without the usage of Internet and modern technology. 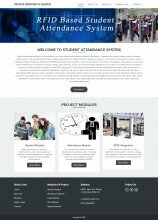 The get the work done more conveniently and effectiveness the various schools use such great technology for taking attendance of their students by the use RFID students attendance system developed with the IOT Platform.